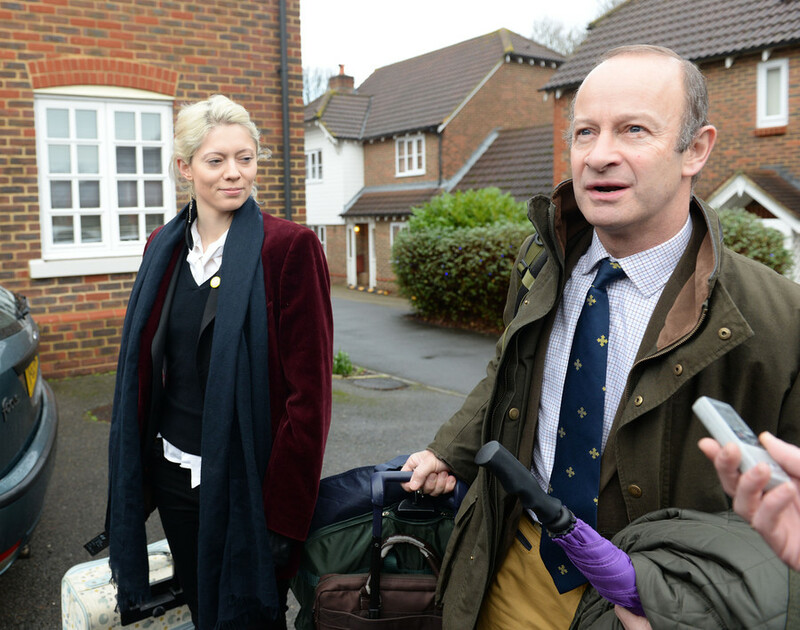 As a Russian woman – a UK citizen with tenuous ties to Putin – is “exposed” as a Tory Party donor, RT looks past the media’s anti-Kremlin obsession to meet the foreign billionaires who actually have sway over British politics. The Mirror reported that Lubov Chernukhin, “the wife of a former crony of Vladimir Putin” (ex-Russian Deputy Finance Minister Vladimir Chernukhin), paid £30,000 (US$41,450) in donations to the Conservatives to dine with Defence Secretary Gavin Williamson. Chernukhin’s successful bid at the Tories’ lavish Black and White Ball fundraiser will also get her a private tour of Winston Churchill’s War Rooms in Whitehall with Williamson. Chernukhin – who is a banker in her own right, but (according to the Mirror at least) resides in her husband’s shadow – is now a British citizen. Previous Tory Party conferences have seen her successfully bid £160,000 to play tennis with Boris Johnson and £20,000 to dine with Scottish Conservative leader Ruth Davidson in Edinburgh. If one puts the mainstream media’s Russia-hating agenda aside for just a moment, however, it’s clear a number of other international billionaires actually wield influence over the UK’s political landscape. The Aussie businessman and easily the most influential person in media. He’s also the man behind pro-Tory newspapers the Sun and the Times. His publications have made their allegiances to the Conservative Party clear. 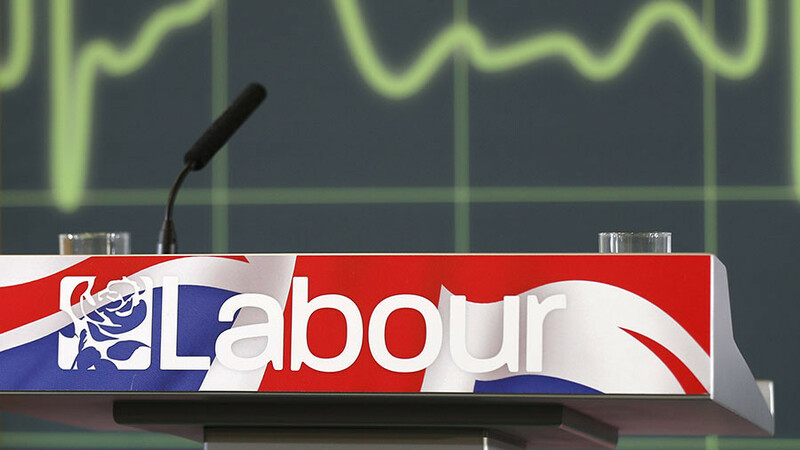 The Sun openly backed the Tories in the 2017 General Election… betting on the winning horse yet again. 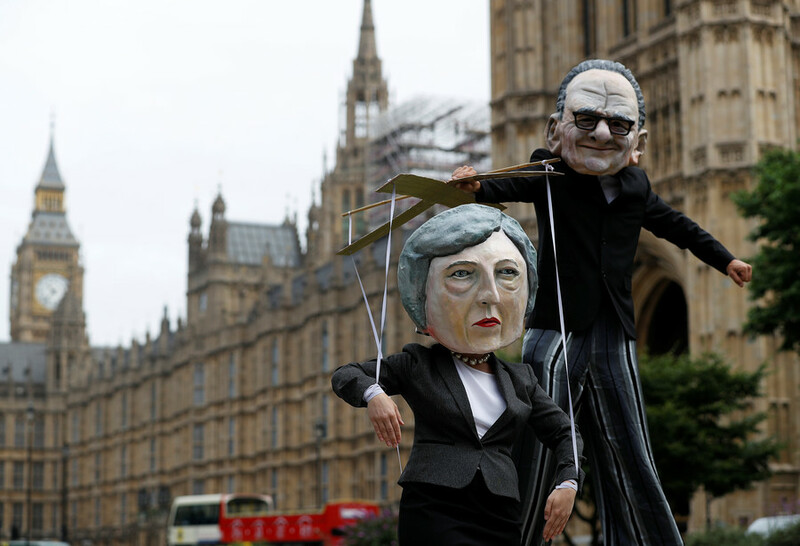 In the lead-up to last year’s ballot, Murdoch reportedly told his employees at the Sun and the Times that the future of the company was dependent on the Tories winning the election, and told them to be harsher on Labour leader Jeremy Corbyn. 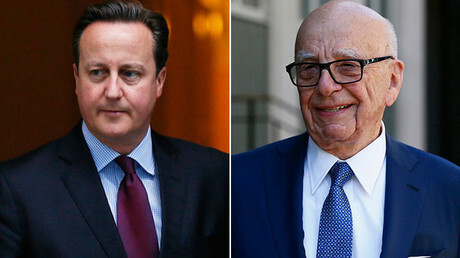 Meanwhile, the 2011/2012 Leveson inquiry into media standards and ethics in the UK revealed that Murdoch had been in close contact with every prime minister in recent decades, including Margaret Thatcher, Tony Blair and David Cameron. The anti-Brexit Hungarian-born billionaire, who’s a citizen of the US, is bankrolling a campaign to stop Brexit – and if that isn’t international meddling, then we just don’t know what is. 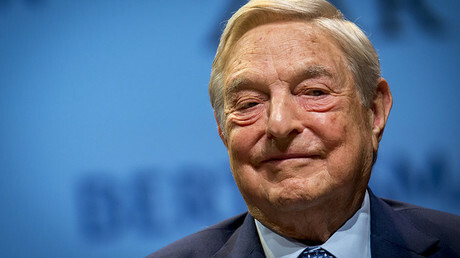 On Monday it was revealed that Soros has pledged another £100,000 to his anti-Brexit campaign. Soros said that engineering a “mere reversal” of the EU referendum result was simply not enough. The cash is on top of the £400,000 he donated last week to the ‘Best for Britain’ organization to fund a nationwide anti-Brexit campaign. Before that, he donated £700,000 to not only stop Brexit in its tracks, but to reverse the process entirely. Technically, Jonathan Harold Esmond Vere Harmsworth, 4th Viscount Rothermere (let's call him Rothermere for short) is British. He’s the chairman of DMG, which runs the Daily Mail and Metro, and both push a Conservative agenda. While he may have been born in Hammersmith, Rothermere has non-domicile tax status. In other words, he lives in France, dodges tax and owns his media businesses through a complex structure of offshore holdings and trusts. In April 2015, the Sunday Times estimated his net worth was £1 billion. That’s a lot of cash to splash around if you want things your way. Owners of the Telegraph Media Group, David Barclay and Frederick Barclay are estimated to be worth £7.2 billion, according to the Sunday Times Rich List of 2017. Among other companies, they own the Telegraph Group Limited, parent company of conservative-aligned papers The Daily Telegraph and the Sunday Telegraph. 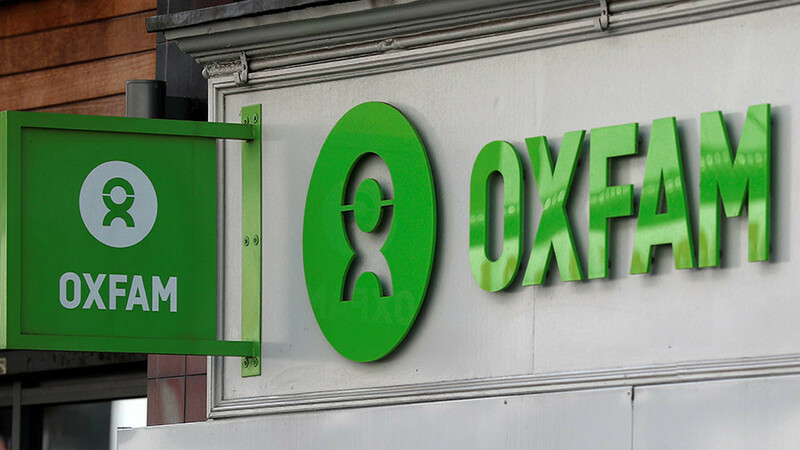 They’ve been accused of tax avoidance, placing their assets under complicated trusts and ownership to dodge the taxman. The reclusive duo is notorious for avoiding publicity, so David's son Aidan manages their businesses in the UK. The two brothers bought the lease of Brecqhou Island in 1993, off the coast of Sark (one of the smallest of the British Channel Islands). There they have been accused of meddling in local politics, including a mass-firing of 170 staff from Barclays-backed investments on the island as the locals did not support political candidates backed by the brothers. In another Sark scandal, the only doctor on the island left after he was slammed by a Barclays-owned local paper for using a boat rather than the Barclays' helicopter to transport a patient who was having a seizure to hospital on the nearby island of Guernsey. The Barclays' paper reported the doctor’s actions as negligent, and despite support from the patient's family and the British Medical Association, the doctor left the island over the story.